We love wine. We love good design. Most importantly, we love helping you through the entire process of planning your home or restaurant wine cellar, from planning to the day your modern wine racks arrive onsite. 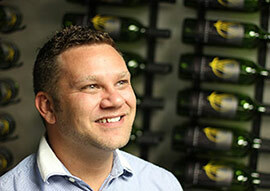 Charles has been involved in and around the beverage industry his entire career. 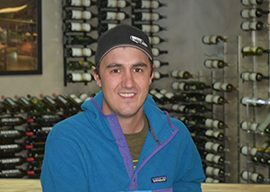 He graduated from the University of Colorado and began his career at the E. & J. Gallo Winery in its Management Development Program working in California and Japan. While based in Tokyo for six years, Charles developed a passion for ramen, riding the high-speed bullet trains and occasional gazes at Mt. Fuji. 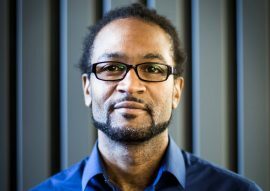 Charles is active in the Colorado Chapter of the Entrepreneur’s Organization. He and his wife are the proud parents of twin boys and a daughter who keep them moving and grooving. With a background in real estate investing and construction, Doug McCain founded VintageView in 2001 out of his garage in Castle Rock, Colorado. The first display system, which held over 3,000 bottles, was installed in his personal wine cellar and word quickly spread about the innovative wine display he had created. 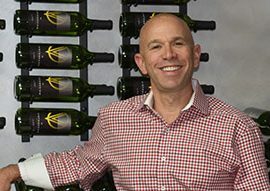 Soon friends and family began requesting their own label-forward racks and Doug began producing and selling them out of his garage, laying the groundwork for VintageView to become an award-winning, household name in the wine industry. Doug is an avid fly fisherman and car enthusiast. He enjoys traveling all over the world with his wife Sally. One of their favorite places to visit is Africa, where he likes to go on safaris and photograph the wildlife. 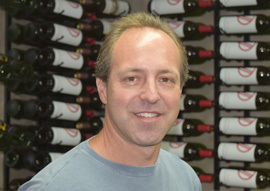 Dave was born and raised in Cincinnati, Ohio, and has worked in the wine cellar industry since 2004. He has a degree in Civil Engineering and in Business Management. In 2013, he and beloved dog relocated to Denver to be closer to VintageView’s main office. He comes from a large family of four brothers and two sisters and loves to spend time with his nieces and nephews. 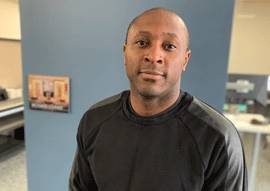 Outside of the office, Dave enjoys playing sand volleyball and is always up for a trip to the mountains or beach. Rachel was born in Boulder, Colorado on leap day. 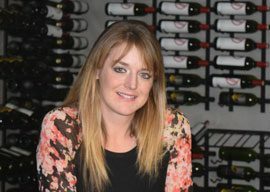 She got her foot in the world of logistics 17 years ago and has spent the last 8 of those years working with VintageView. In her free time, Rachel enjoys listening and collecting music and tending to her vegetable garden. She is the proud owner of a 6 year old mini Labradoodle named Oski, who brings lots of joy and teaches her patience. Caryn, Vintageview’s first employee, is a fourth generation Colorado Native who loves to camp and spend time with her family. She takes classes in Tai Chi, Qigong and rides a cherry red Vespa. 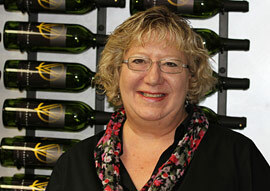 Erynne comes to VintageView with many years of accounting and finance experience from a variety of industries. Although raised around the world in a military family, she has called Colorado home since high school. Erynne is an avid traveler, foodie, wine enthusiast, and Disney addict. When not working you can usually find her planning her next trip to a beach or a food & wine festival. Megan was born and raised in Arvada, Colorado. She obtained a bachelors degree in Psychology from Metropolitan State University of Denver. Megan loves spending time with her husband and two children. 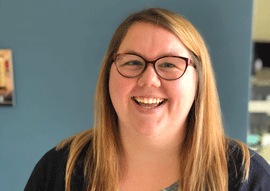 In her free time, Megan takes pleasure in volunteering at her children's elementary school, taking road trips with her family, and scrapbooking. Kaitlyn was born and raised in Sandwich, IL. She received a bachelors degree in Marketing from Iowa State University. While there, she met her fiancé, Jason, a Colorado native. 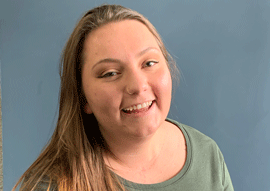 Kaitlyn is excited to part of the VintageView team and looks forward to the days when there are dogs in the office (since she doesn’t have one of her own). When she isn’t at work, you can find her at home curled up with a good book, or at a Colorado Rockies game with her family. 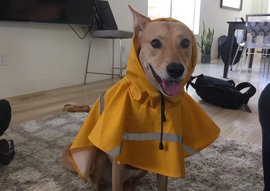 No matter what she’s doing, there’s always a smile on her face! 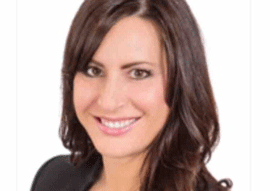 Kate is a recent graduate of law school and originally from North Dakota. She has experience in a lot of different industries, from mosquito control to being a barista/sales clerk at a small boutique. 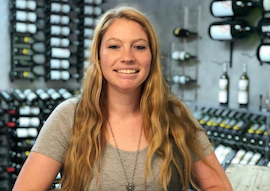 The friendly team, in addition to working for a company that is changing the wine rack industry is what brought Kate to VintageView. In her spare time, she enjoys reading books on the beach and baking lots of sweet treats. A Colorado native, Eric spent most of his youth on the West Coast before returning to Denver in 1987. For nearly 20 years, he served in increasing warehousing capacities at Albertsons distribution center. In total, he has nearly 25 years of experience in logistics and warehouse management. Eric has an 8-year-old Shiba Inu named Sienna, who he takes to the mountains whenever possible. He is also an avid skier and loves to travel to New England to visit family. Felicia is excited to be a part of a team that is inclusive and cares about their employees' growth and development. She is a Colorado native who enjoys playing with my dog, working on cars, and hanging out with friends and family. As a teenage beauty queen, Jessica Blais grew up in Parker Colorado and learned the power of public speaking and sales early on. After a 10-year stint in Idaho and Utah Jessica and her husband, Tim, moved back home to raise their three girls closer to her family. 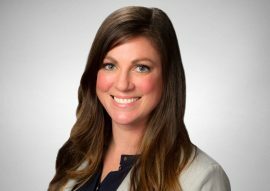 When she is not motivating and mentoring her sales team, Jessica enjoys reading, speaking to groups on turning marketing dollars into revenue for companies and attending her daughters’ all-star cheer competitions around the US. Since moving to Denver in 2010, Katie has worked in customer service and management roles in the pet industry. While her love of animals certainly didn’t wane, she joined VintageView for the challenge of expanding our service along the East Coast (and in Iowa). Away from the job, she enjoys spending time with her husband, Andy, and their three rescue dogs, Heidi, Roadie, and Roz. A huge Broncos fan, Tracy considers herself a diehard Denverite. 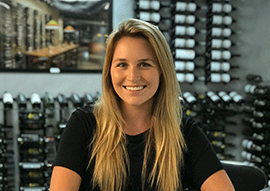 She brings a strong background in sales and account management from the waste industry and is excited to continue growing her skillset at VintageView. Although she doesn't get to do it often, Tracy enjoys traveling and snowmobiling in the winter. Away from the job, she likes to go camping and spend time with her husband and two daughters. Although born in Traverse City, Mich., Renee has been in Colorado long enough to be easily be confused with a native. She brings a strong background in manufacturing and construction sales, management, and interior design acumen to her role at VintageView. 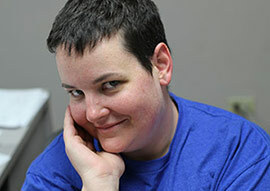 Outside the office, Renee enjoys spending time with her husband, two teenage boys, and friends. You can also find her traveling to tropical regions, attending concerts, shopping, enjoying Colorado’s 300 days of sunshine, remodeling her home — or just binge-watching HGTV. Born in San Diego and a Colorado resident since 1994, Sam graduated from UCCS with a finance degree. He brings experience from various areas of the luxury real estate and travel industry where he worked in banking, sales, operations, and finance. Sam has been involved in athletics for most of his life including competitive swimming, boxing, and weight lifting. Currently, these activities are an excellent attempt at offsetting the food and wine he tends to enjoy. 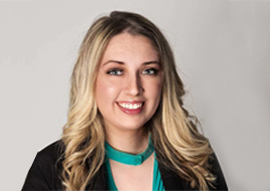 Taylor has recently joined the VintageView team with enthusiasm to grow her skillset in sales and marketing. 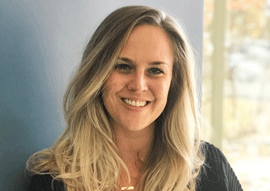 She is a Colorado native and recent graduate from the University of Colorado - Boulder, where she studied Strategic Advertising and Leadership. A large part of her college experience was being a four-year member of the Colorado Cheerleading team, where she had the opportunity to cheer on Colorado athletic teams and also compete in the national cheerleading competitions in Florida each year. Before college, she was a competitive gymnast for 16 years. With this being said, she’s obviously passionate about sports and being active. Outside of work, you’ll find her enjoying the outdoors, whether that be hiking in Boulder or camping deep in the Rocky Mountains. Although she recently relocated to Denver from Atlanta, Jackie grew up in Columbus, Ohio and is a diehard Ohio State Buckeye fan. She spent almost 20 years in the south before being called to the mountains. She spent many years in IT sales and developed a love for consultative selling, and more recently was client facing for an event gifting company. 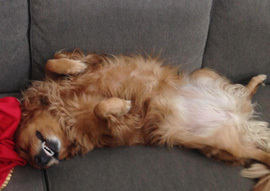 When not Client Focused at VintageView, she spends her time with her 15 year old son, and her fur-babies; Sadie, a mixed breed pup, and Biscuit, a Garfield look-a-like. 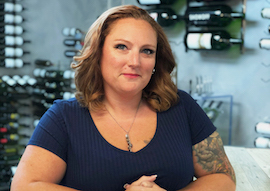 Born and raised in Colorado, Marcy has over 10 years of customer service and sales experience and is excited to be joining the VintageView team. She also is an artist of all mediums and often makes custom art pieces for friends and family. When not working you can catch Marcy and her boyfriend hiking, camping, fishing snowboarding, or simply enjoying the outdoors with her two amazing pups Dynamite and Little Luey. Osagie was born and raised in Chicago Illinois. He brings enthusiasm and even more drive to our hardworking team. He loves shopping, cooking, traveling and good times with friends and family. Ali was raised in Va, but has been in Co since the 90's. She brings an exciting background in sales to our exploding team. When she's not crushing quotas, she enjoys spending time with her daughter and friends. Some of her favorite things include watching football or reality TV, trying new restaurants and wine bars around Denver, spending time in the mountains, being active, and eating buffalo wings (just to name a few). 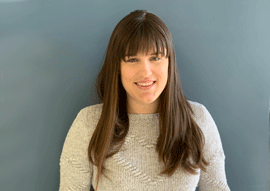 As Denver’s newest resident, Ellen is excited to join the VintageView team. She recently graduated from San Diego State University where she studied Business Management and Spanish. Ellen is passionate about traveling, country music, and educating people about elephant endangerment. If you listen closely, you can probably hear her cheering for her beloved Denver Broncos. Sarah Marsden (not related to James Marsden) was born in Minnesota, raised in Baltimore, and just moved to Denver from Reston, Va., at the beginning of 2018. She has had many ventures from community management to co-founding Marsden Media, a freelance event/portrait photography business, with her husband. Sarah has traveled to 44 countries and 44 states so far in her life. When not traveling or working, she is involved in comedy improv and sings in the church choir. Most importantly, she actively tries to Catch ‘Em All while exploring the city with her husband and two terriers. 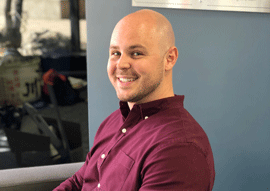 Thomas made the leap from designing kids playgrounds (literally) to adult playgrounds (figuratively) when he joined the VintageView team. He brings his AAS degree in architectural design from Red Rock Community College and several years of spatial design to this post. When he's not designing your wine cellar, you can find him playing disc golf or dreaming about scuba diving all over the world. 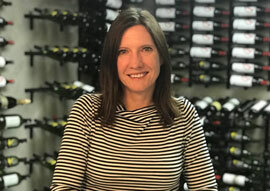 Katie comes to the wine cellar design world with experience working on a diverse portfolio of projects including model homes, corporate offices, and sports arenas and stadiums. She holds an Interior Design degree from the University of Nebraska (Lincoln). 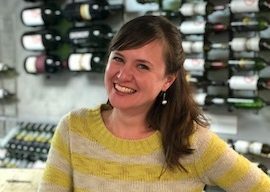 When she's not designing your wine cellar, you can find Katie teach barre class (and recruiting her VintageView colleagues to take classes), spending time with her family (husband, daughter and two dogs), exploring local breweries, and watching Cornhusker football. David is a Denver native that graduated from the Art Institute of Colorado with a Bachelor's degree in Design & Technical Graphics. 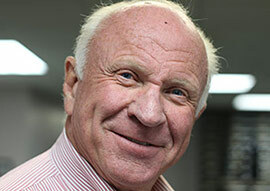 He has experience in kitchen, architectural and wine cellar design. When he's not working, David loves art and enjoys watching boxing. A New England transplant, Jacob has called Colorado home since ’98 when he moved west to attend the University of Colorado-Boulder. 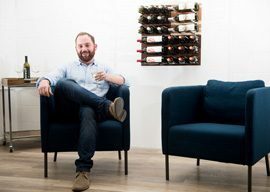 Following an award-winning career in journalism, he transitioned to the ad agency world, simultaneously earning his sommelier certification and becoming an advocate for Colorado wine (naturally, his modest 100-bottle wine closet features several Grand Valley, Colorado, selections resting on VintageView racks). Jacob is also an avid skier and backpacker, who thru-hiked more than 1,400 miles of the Appalachian Trail and is working his way toward climbing Colorado’s 54 14ers. 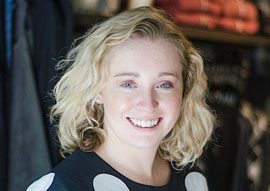 Megan comes to VintageView from the fashion industry, where she owned a women’s clothing boutique for two years. After failing forward, she continued to stay true to her original mission of working with local fashion designers and helping them grow their businesses through marketing and sales. 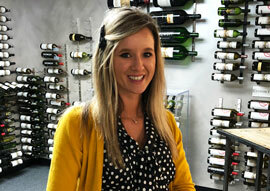 Lucky for us, Megan decided she needed a change, and her love for wine and design brought her here. A Denver native, she enjoys spending time with her dog, Kingsley, shopping at local boutiques, and eating great food. Maggy loves to roam the office and warehouse, making sure everyone is calm and happy. 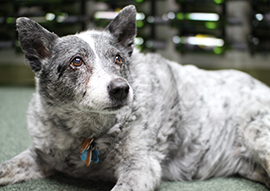 She loves tummy rubs and is considered one of the early adopters of label-forward racking. Always a cheerful bark when asked to put together an estimate. Her dad is Charles. Panda loves to share kisses but barks first and asks questions later — especially in front of the men in the office. She can usually be found curled up under a desk in the marketing department on Fridays. In her spare time she chases tennis balls and is known as the fastest dog in Jefferson Park. Her dad is Jacob. Iris was Dave's loyal companion for more than 17 years. She could always be found napping next to her dad's desk in the sales department. At nearly 18, she was sent to Doggie Heaven in June 2016. Her beloved dad Dave Elliott could not have had a better companion throughout the years.